Update - HiLo highchair now in black and white! 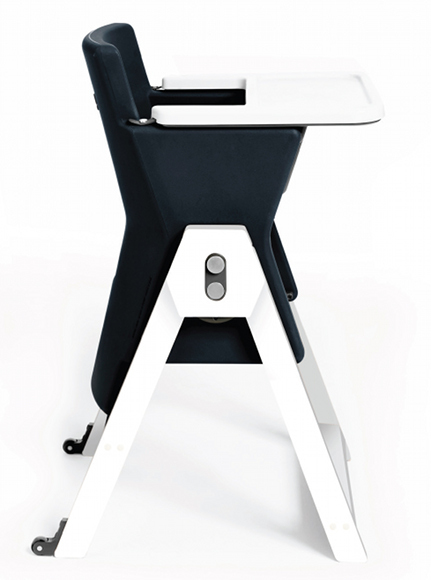 Update – HiLo highchair now in black and white! My heart stopped mid-beat when I saw the new limited edition colour of the HiLo highchair. If you could see my home, you’d know why – monochrome with splashes of red is a colour scheme I stay true to and this little baby would fit right in! It’s the new colour of blackcurrant from Age Design, which has been rather savvy in its assessment of current colour trends. Bright white frame and tray with a luxurious black chair and it’s monochrome heaven all the way! The HiLo is a rather marvellous contraption which swivels on its axis to create the dual-levels needed for babies and toddlers and comes in an array of appetising colours (strawberry, carrot, asparagus and portobello). A favourite feature is the moulded seat which is very secure-looking and eliminates the need for a cushion and extra cleaning. The back legs have sturdy wheels for ease of mobility. They’re also timber-floor friendly and fully foldable for easy storage. Stock has arrived today at Kiekaboo and the new colour is the same price of $399! It’s love I tell you.